Wow! Amazing photo! I love their cute face. Happy Valentine's Day to your family too. 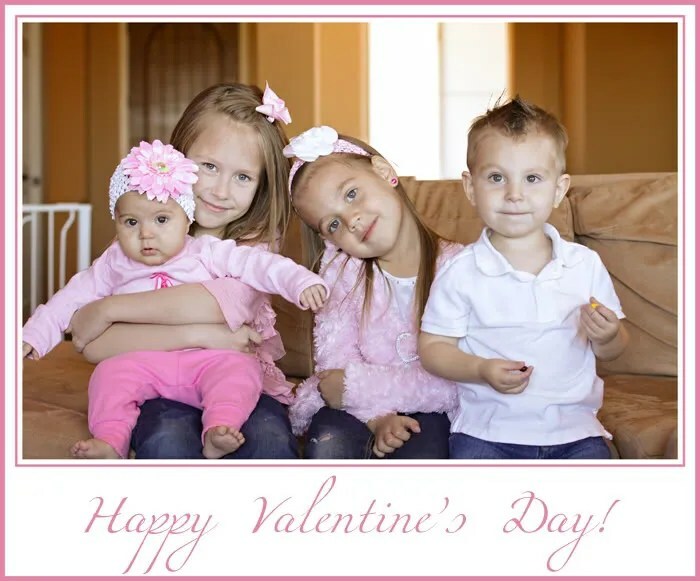 Happy Valentine's Day to your family! What a beautiful picture of your children.I love Ember's headband the big pink flower is so pretty. What a great shot. Happy Valentine's day to you, too! I don't know how you managed to get all 4 kids to look at the camera at the same time and have such sweet expressions! Too cute! Happy belated Valentine's Day to you and yours! that is such a sweet photo. Great job on getting all to cooperate. I have just 2 and can't get atleast one photo.